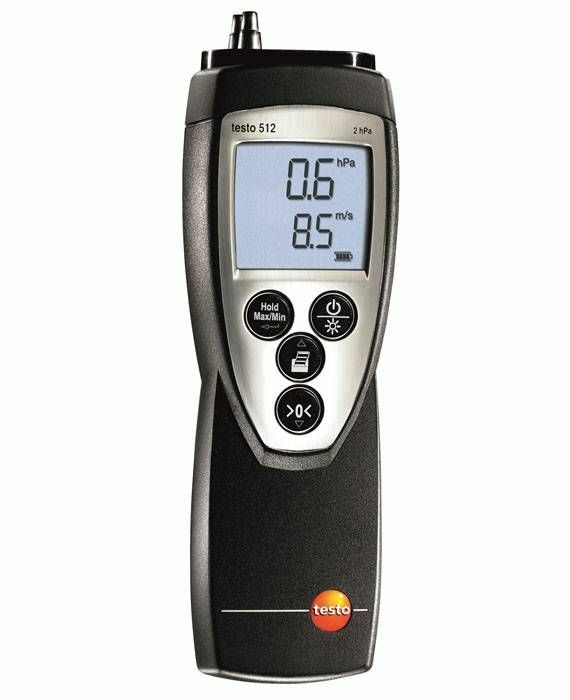 The testo 512 0-2000hPa shows the pressure value in an easy-to-read, large, backlit display. Measurement data can be printed on site with date and time as well as minimum and maximum values. 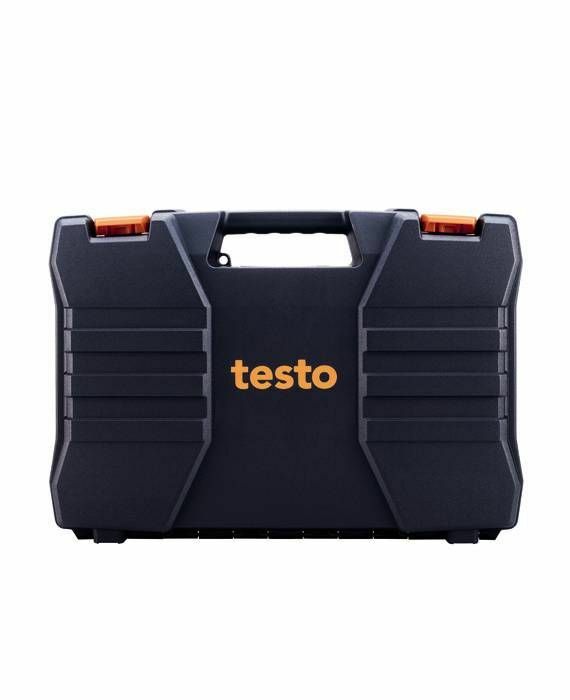 The testo 512 differential pressure measuring instrument can be used to perform differential pressure measurements in a measuring range of 0 to 2000 hPa. The damping for moving averages is adjustable. The actual value shown can be held on the display by pressing the HOLD button. The measured minimum and maximum value can be displayed and stored on the instrument. You can display measuring values from your differential pressure measurements in any of the 8 possible units: kPa, hPa, mm H2O, mmHg, psi, inch H2O and inch Hg. The values can be viewed easily on the large illuminated display of the differential pressure measuring instrument. With our optional accessories, you are investing in the durability of the instrument and will benefit from practical use: the handy bag ensures safe storage and transportation of the differential pressure measuring instrument. The TopSafe protective case protects the instrument against impact, dirt and spray water. With the testo fast printer, you can print out measurement protocols directly on site. Data transfer is carried out easily via infrared.